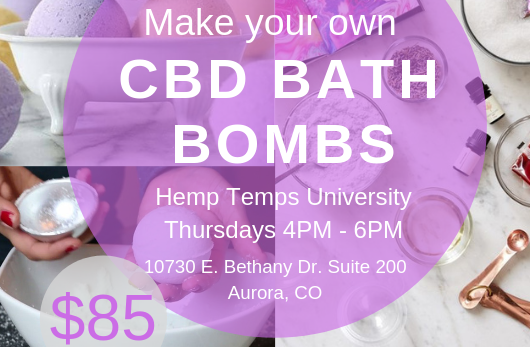 Come and join us every Thursday for an exciting and interactive CBD Bath Bombs class! Our instructor will walk you through every step of the way while you decide on different color and scent combinations. While you are mixing and measuring, you will also be able to vaporize your favorite plant or product! This consumption friendly, vaping event is perfect for mixing up your weeknight routine and cutting loose with friends.